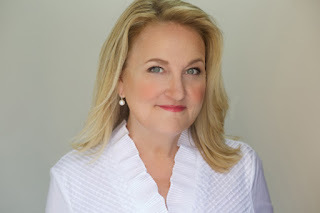 One day about twelve years ago, Christina Dodd hosted a new-to-me author by the name of Geralyn Dawson at the multi-author Squawk Radio blog. I was intrigued by her humor and charm and set out in search of her books. It took only one story to have me glomming everything I could get my hands on. In 2006, Dawson moved from historical westerns to modern-day romantic suspense with the release of Give Him the Slip and the introduction of the Callahan brothers. She reeled me right in and held tight through the next two books as the stories of Luke, Matt, and Mark Callahan unfolded. Then she took a break from writing, leaving hordes of readers (including me) desperate to know what really happened to the missing fourth brother, John Gabriel “Gabe” Callahan. In 2011, Dawson returned to writing with a new pseudonym and launched Emily March’s beloved Eternity Springs series with Angel’s Rest, Gabe’s long-awaited story. The Callahan men and their wives have appeared periodically throughout the Eternity Springs series but now, with the publication of A Stardance Summer, the fourteenth book in the series, the spotlight once again shines upon their family. This time, the hero is Brick Callahan, son of Mark, and the first of the next generation to get his own story. I adored him. How about you, Janga? Janga: So did I, PJ. Brick is a fascinating character in his own right, plus there is the Callahan connection. I confess that I am a big fan of second-generation tales, and I’ve been longing for this one since Brick first appeared in the series. Brick’s personal history gives the term “blended family” a new definition. All his names reveal pieces of who he is: Mark Christopher, the boy he was; Chris Callahan, which combines his two family identities; and, finally Brick Callahan, the stubborn, independent, honorable man he is. With all the larger-than-life Callahans in Brazos Bend, it made sense to me that Brick found his piece of paradise and his independence in Colorado. I love that Emily March gives us all these tiny vignettes that show what a loving relationship Brick has with all of his family. Especially memorable for me was that poignant moment when Brick thinks that his three mothers—his birth mother, his adopted mother, and his stepmother—have all been angels in his life. Another favorite is the scene where the Callahan brothers advise him on his love life. Then there’s Branch’s heart-attack threat to push Brick into giving him great-grandchildren. And having the Colorado Fourth of July Callahan family bash to balance the Texas Christmas tradition is perfect. I also think having Liliana know him as Mark Christopher, grow to know him as Brick Callahan, and fall in love with all the parts of who he is was a stroke of genius on March’s part. I don’t know about you, PJ, but I smiled every time Brick came up with another nickname for Liliana. PJ: Oh, I did too! I think my favorite was Freckle-Sticks. Only someone who had grown up knowing Lili as his best friend’s pesky little sister could have gotten away with that. Lili really tugged at my heartstrings. While I thoroughly enjoyed her journey to love with Brick, for Lili, her summer in Eternity Springs is also one of growth and self-discovery - almost a coming of age even though thirty is looming on her horizon. For the past twenty years, she’s been diligent in her efforts to be logical, controlled, and never step out of line. My heart ached for her when, after doing everything right, it all fell apart with betrayal both at work and at home but I cheered when she finally took a stand and hit the road to discover just who Liliana Howe really was. Destination: Stardance Ranch RV Park where her landlord and friend, Patsy, and the Tornado Alleycats were spending the summer. Did you love Patsy as much as I did, Janga? I want to be an Alleycat too! Janga: I think we are Alleycats at heart, PJ, although I’ll leave the skinny dipping and the fire-engine red hair to Patsy and her cohorts. She really is a wonderful character. I love that she is in her seventies and still living life to the fullest despite the challenges life throws at her. Colorful older women characters are fairly common in romance fiction, but I can remember only a rare few who have been as vividly drawn as Patsy. From her past as an exotic dancer to her marriage to a man ten years her junior to her writing career, her hundreds of friends, her matchmaking plans, and her Sundays in church, she marches to her own drummer. Yet she seems so real I want to give her a hug. She is just the example Lili needs. And, in this novel that is about all kinds of families, I also think she and Lili are definitely “family” to one another, don’t you? PJ: I do agree, Janga. Whether family by blood, by marriage, or by choice, Emily March brings the characters in A Stardance Summer together with purpose and love, as she has done with each of the Eternity Springs books. It’s one of the components of this series that I most enjoy, along with the spiritual element that the beloved character of Celeste brings to each book. I admire March's ability to add depth to her stories through her characters' journeys of spiritual awakening without venturing into religion or inspirational territory. Humor, Heart, Family, Love: all integral components of an Emily March novel that solidify her place on our auto-buy lists and place her books on our keeper shelves. Just between us, if you have not yet read A Stardance Summer, you’re missing out on a wonderful story that will make you smile, laugh, possibly shed some tears, want to drop-kick a few characters off the nearest cliff, sigh with satisfaction, and ask how long you’ll have to wait until Emily March’s next visit to Eternity Springs. However long the wait, you can be sure we’ll be there, ready to reconnect with favorite Eternity Springs citizens, meet new ones, and join them on another heart-tugging journey to love. Do you enjoy romances with a family dynamic? Are you reading Emily March's Eternity Springs series? Do you have a favorite book or couple in the series? What do you think of second-generation romances? Do you enjoy seeing children from previous books all grown up and on the path to their own HEA? Brick Callahan enjoys every minute of chaos at his campground, Stardance Ranch, especially after the Tornado Alleycats arrive for an extended summer stay. The members of the all-female glamorous camping club are primarily seniors―active and adventurous, friendly and fun. But when he discovers Liliana Howe frolicking with the glamping grannies in a late night skinny-dipping session, he fears he's in for a summer of trouble. Because his best friend's kid sister has grown up to be drop-dead gorgeous. I do love series focused around family and multiple generations....you get to see HEAs that are enduring. I haven't read all of the Eternity Springs novels, but they are all either on my wish list or TBR. It's a wonderful series. I hope you've enjoyed the books you've read so far, Glenda. Romances with family involved are meaningful and I enjoy following second generation romances since they are what matters in life. Eternity Springs series is wonderful. A series which features family interaction and several generations interests me greatly. Eternity Springs novels are beautiful. Sounds like something I would like. I do enjoy series novels, sometimes I do tire of them after awhile. Depends on the series. Hope you give them a try, Natty's Gma. Janga and I both highly recommend the Eternity Springs books! I will be looking forward to reading all the nooks in the series. Your post shores me what I missed out on. Love family stories how they connect, love and laugh together. Multi generations is great reading following all the family members. Thanks for this post. I love the Eternity Springs series and can't wait for this one. I do enjoy multigenerational romances and seeing them through different stages of life. I have not read any Eternity Springs books. You both have made it sound terrific. I do like family dynanmics. I believe that family relationships provide insight into characters. And I am big for humor so this series would be another one I would like. I love this series! Besides the main story I enjoy the visits from character who were featured in past books (and those who may well be featured in future). Kids & pets having roles in the stories is a lot of fun too. I love the series but have to admit I have trouble with second generation romance. I guess I don't want the characters to age, but always stay the same. If they age then I feel like I've aged. 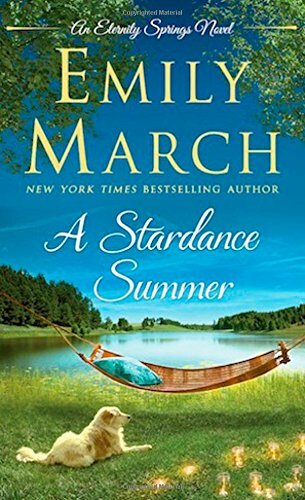 I love Emily March's Eternity Springs series and I am so looking forward to reading this book. I've also read the Callahan brothers stories. Her books are awesome. Have not read the Eternity Springs series but would love to. I do ❤️ family series! They just add so much more to the story! More humor, more relationship dynamics...just more interesting and fun! A couple of my favorites in the historical genre are the Bridgertons (Julia Quinn) and the Redmonds and Everseas (Julie Anne Long).